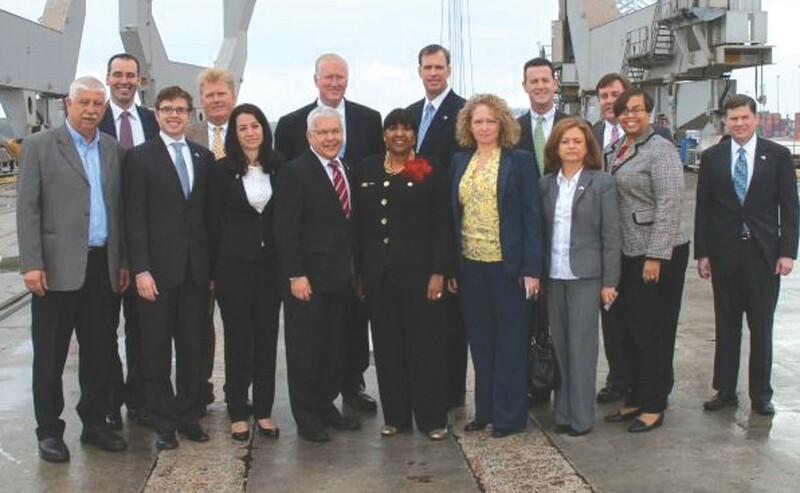 Business and civic leaders from the City of Savannah and Israel at a meeting at the Georgia Ports Authority. Civic and business leaders from Savannah and Israel developed ties to increase trade during a two-day visit to Savannah on Sunday and Monday. The Israeli delegation included government officials such as Opher Aviran, Israeli Consul General to the Southeast; and Lea Bogatch- Genossar, President of Israeli based container shipping company ZIM. ZIM ships more containers through the Port of Savannah than any other port in the United States outside of New York City. The trip included tours and meetings with officials from the Georgia Ports Authority, Gulfstream Aerospace, Savannah State University and World Trade Center Savannah. “The main thing we are trying to do is create jobs in our community, and one way I know we can do it is through developing trade with Israel,” Mayor Edna Jackson said during an afternoon wrap-up news conference at World Trade Center Savannah. This was the third such exchange between officials from Savannah and Israel, who are attempting to develop educational, cultural and economic ties between the two communities.